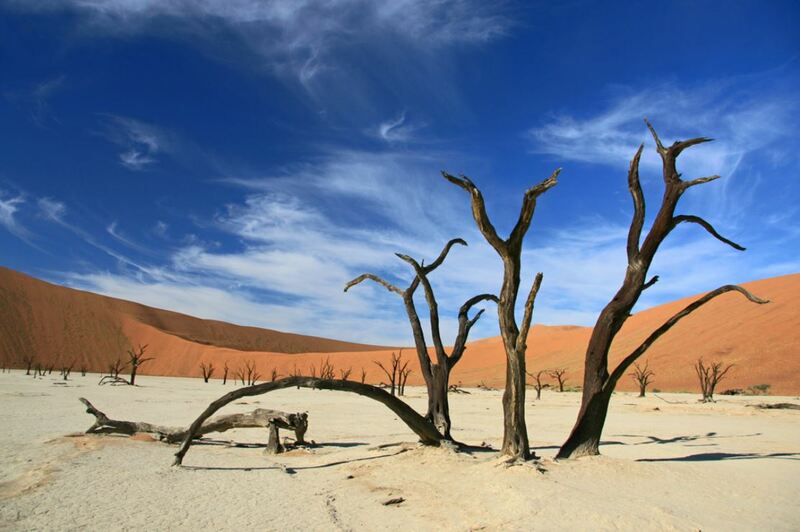 Home » Travel Blog Posts » Destination Travel Guide: Travel Namibia! Destination Travel Guide: Travel Namibia! Where can you take a group tour incorporating superb wildlife viewing opportunities and a photographer’s heaven? Travel Namibia! With its vast desert landscapes and rugged mountains Namibia offers spectacular national parks ideal for adventure travel & photography lovers. Etosha National Park is home to some of the most unique safaris. This vast, flat, desert landscape is surrounded by grasslands and bush which are inhabited by more than 100 species of mammals and more than 340 species of birds. Hire a car, park next to a waterhole, and wait for the arrival of lions and springboks. It’s like fishing, but with your camera (and the fish are plentiful indeed!) 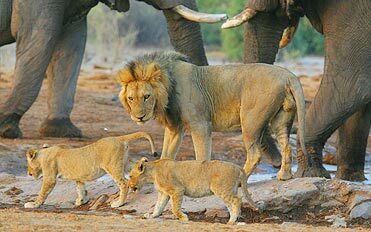 Some of the best group safaris can be found here with herds of elephants 100 strong as well as black and white rhinos. The time to see them is now since rhinos are getting dangerously close to extinction due to the horrible poaching practices of black market criminals. 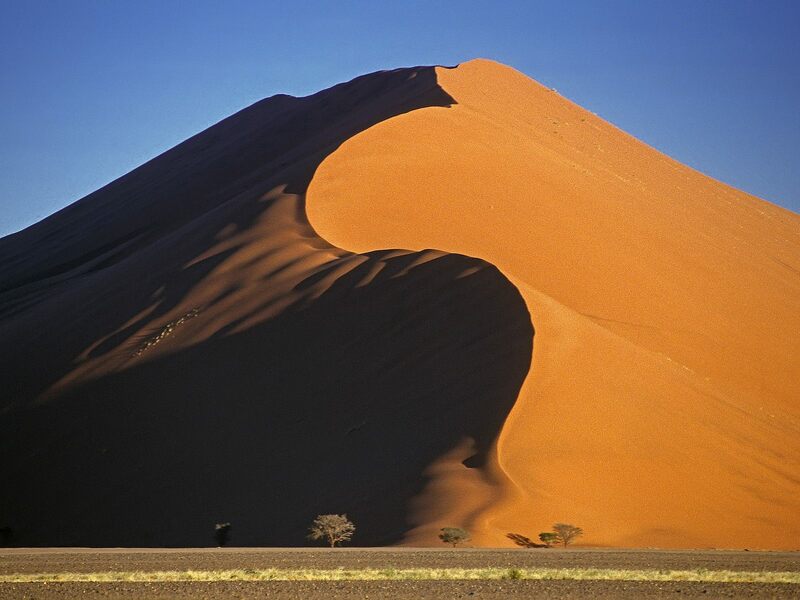 A trip to Namibia is not complete without a trip to the sand dunes of Sossusvlei in the Namibia Desert. The sand here is thought to have originated from the Kalahari between three and five million years ago in an ancient sea. Considered by some to be the tallest dunes in the world at over 200 metres above the valley floor, this landscape is awe-inspiring and worthy of more than a few photos. Photographic opportunities are best at sunrise and sunset. Climbing and experiencing these dunes is a fantastic adventure you will remember forever. Serious travelers may want to try their hand at sandboarding! Traditionally, sandboarders rent out snowboarding equipment for riding these dunes just as if it was 20 degrees atop a frozen mountain. That being said, falling over is less painful than on ice and if you prefer to lie down for the entire trip, you are still in for a thrilling ride! Whether you want to ride the dunes or simply admire them from a distance, they will leave a lasting impression on you along with the rest of this spectacular country. Namibia’s rich wildlife and scenery will remain with you long after your trip is over and we bet you will have the burning desire to return for at least one more adventure in this great South African country. Looks like a great trip! How awesome to get to see such diversity at a watering hole- it’s like something out The Lion King! And those dunes looks super fun as well.